In Sky Force: Reloaded, what are the maximum upgrade levels of your ship hardware? Similar to this question, what are the maximum levels for each piece of ship hardware that can be upgraded in the hangar? 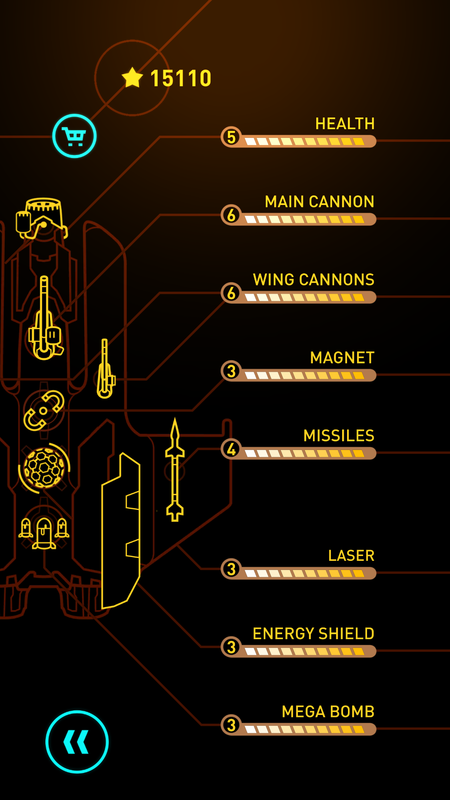 The maximum levels for each of these pieces of hardware is different than the earlier game, Sky Force 2014. As of 31st March 2017 the current app version 1.81 has the following upgrade levels. These increases were probably spread out through updates 7 and 8 as the forums have people complaining about no new upgrades in update #9. On 3rd February 2017 an app update (v 1.81) was published. On 7th September 2016 an app update (v 1.5) was published. Not the answer you're looking for? Browse other questions tagged sky-force-reloaded or ask your own question. Sky Force 2014: spaceship upgrade detail? What are the various ships and their stats in Sky Force Reloaded? What did the “agent is missing” notification mean in Sky Force Reloaded? How can more permanent cards be obtained in Sky Force Reloaded? What are the various technicians and their effects? What is the “loop around the back” trick on Sky Force Reloaded?